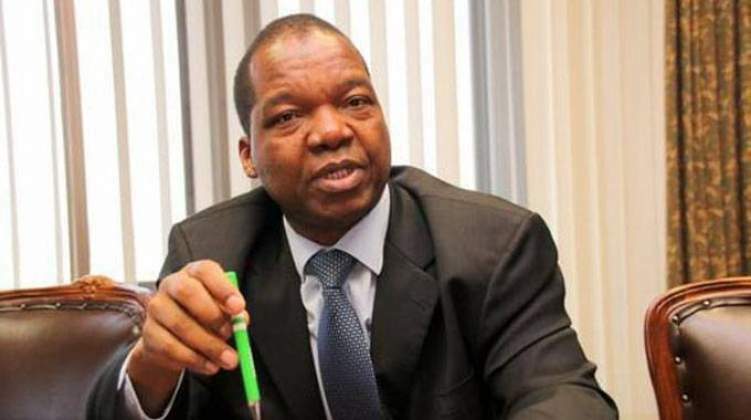 RESERVE Bank of Zimbabwe (RBZ) Governor Dr John Mangudya yesterday defended the use of bond notes saying the real cause of problems facing the economy was not the surrogate currency but ballooning electronic balances, which are not backed by productive fundamentals. Rejecting calls from legislators that bond notes be scrapped as they "have failed," he accused parliamentarians of lacking appreciation of real causes of the currency challenge. He reminded the delegates attending the 2019 pre-budget seminar in Bulawayo that bond notes had to be introduced in 2016 under a $200 million AfreximBank-backed facility as a stop-gap measure to eliminate the then rampant cash hoarding and externalisation of foreign currency, mainly the United States dollar. The situation was compounded by the $1,35 billion RBZ (Debt Assumption) Act, which was approved by Parliament and signed into law in 2015. As a result of financial and fiscal indiscipline in the economy, Zimbabwe has plunged into the web of an increasing money supply, spurred largely by issuance of Treasury Bills, which has provoked inflationary pressures. He admitted that to date Zimbabwe has registered close to $10 billion electronic balances at banks, which are not backed by real money. "In that amount only 4,5 percent are coins and notes, which is your bond notes and coins, therefore, if we remove them they won't resolve the problem," said the Governor. "The problem is about the 95,5 percent held as RTGS balances in your accounts. Where is it coming from?" Dr Mangudya said the bloated balances, not bond notes, were causing inflation as they spike spending and pile pressure of little forex reserves. "So, the question which we should be asking ourselves is where is this money coming from? That's why we need to plug the holes not from the medium of exchange that you have taken away from the bank. The money in your account didn't come from bond notes, not at all," he said. Dr Mangudya said the other challenge was the fiscal deficit evidenced by Government domestic credit at about $11 billion versus bank deposits of $10 billion. "So that's the burden we are carrying as Central Bank in trying to fund those balances. If we deal with the fiscal rules and principles, then you will find out that everything comes to shape," he said. Quizzed on why the official exchange rate between the US dollar and bond note was at par at 1:1 despite parallel market disparities, he said: "The reason why we have got 1:1 is because there are essential products that we need to import in this economy to have price stability. Our fuel, which is coming here and people are buying it using RTGS, EcoCash whatever it is at 1:1. Your electricity today is imported at 1:1." Earlier in his address, Dr Mangudya said the country should forge ahead with measures that stimulate productivity to anchor growth. "There is no economy in the world which can have a strong currency without a strong base. Your currency is as good as your production, and what are you producing Zimbabweans? "If you are producing nothing you can't have a higher currency, which is very strong. Therefore, the challenge that you are facing of foreign currency shortages is because we are not working and we must start working very hard," he said.